Registration fees expire at 11:59 PM (Eastern) on the dates listed above. Click on REGISTER NOW and login to auvsi.org with your email and password. Click “Forgot your password?” if you do not remember your password and need to reset it. If you do not have an AUVSI account, please click on Create Account. Enter your email address and click search. On the next page, enter your information to complete your account creation. Your registration category and corresponding fee for AUVSI Novus Unmanned will default based on your membership status. Continue to checkout page. Once completed, your registration will be confirmed by email from meetings@auvsi.org. If you do not receive a confirmation or receipt, please check your junk and/or spam email folder for confirmation. We've secured a number of reduced rate hotel rooms to make your trip more affordable. Contact jblachek@auvsi.org or +1 571 255 7789. Bring your ExpressPass Confirmation, either printed or on a mobile devise, to the AUVSI Novus Unmanned Self-Check-in area, scan the QR code and present a government-issued photo ID to obtain your badge and conference materials. Your registration will be confirmed by email from meetings@auvsi.org within two business days. Please check your junk and/or spam email folder for confirmation prior to contacting the AUVSI Registrar. If you do not receive an email confirmation within five business days the date your registration was submitted, or you have other registration questions, email jblachek@auvsi.org or call +1 571 255 7789. Join AUVSI and enjoy the benefit of member registration rates. You may register at the AUVSI member rate if your membership is current and approved. To request membership information, contact us at membership@auvsi.org or +1 571 255 7790. Registration for AUVSI Novus Unmanned will not automatically renew your AUVSI membership. The member fee is at a discounted rate and does not include membership renewal. You may renew your membership by visiting www.auvsi.org. For help with renewing your membership, contact Melissa Bowhay at mbowhay@auvsi.org. Cancellations requests must be made in writing and sent to Jason Blachek at jblachek@auvsi.org. Cancellations will not be accepted by phone or onsite. Cancellations will be acknowledged by email. If you do not receive an acknowledgement within two business days, please contact Jason Blachek at +1 571 255 7789 or jblachek@auvsi.org. Should you be unable to attend AUVSI Novus Unmanned, you may send another member of your organization in your place. Substitutions must be made prior to badge pickup, before the original registrant has attended any portion of the event. The original registrant may make a substitution by emailing jblachek@auvsi.org by Thursday, October 26, 2017. Starting Friday, October 27, 2017, all substitutions must be made onsite and will require hard copy, written permission from the original registrant granting the substitution. Attendance is for members of AUVSI’s industry ONLY. Individuals not in the trade should not attend. AUVSI reserves the right to accept or reject registrations and to cancel any previously accepted reservation, at any time, at its sole discretion, without liability to the registrant or any other party. 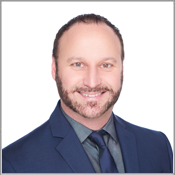 This policy was instituted to maintain the professional environment of the AUVSI show, while protecting the interests of our attendees and exhibitors. Loud, abusive, or defamatory language, harassment, unprofessional or inappropriate behavior is not permitted at any time at the show. If such conduct is engaged in by a registrant, please be advised that AUVSI may cancel any previously accepted registration, at any time, at its sole discretion, without liability to the registrant or any other party, and the registrant agrees to exit the premises immediately. AUVSI event badges cannot be reproduced and once a badge has been picked up, it cannot be resold or transferred to another individual. The AUVSI event badge constitutes a limited revocable license to attend the current AUVSI show. AUVSI event badges are the property of AUVSI and may be revoked at any time for any reason. AUVSI badges must be worn at all times while at the event. AUVSI has sole discretion over admission at all times and shall strictly enforce all show rules. Attendees agree to abide by AUVSI’s attendance rules, which may be updated at any time. Violators risk immediate confiscation of their event badge without refund and removal from the premises. Violators will not be allowed re-entry. AUVSI, at its sole discretion, reserves the right to decline the registration of any applicant that may violate national security or export compliance laws, including U.S. economic sanctions. Applicants must provide full, truthful information when registering, in accordance with registration terms and conditions. 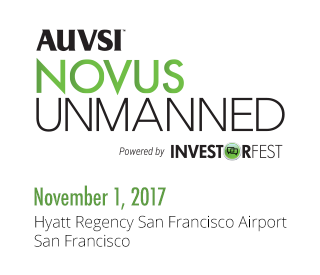 Attendees are permitted to use hand-held cameras to take photographs, capture digital images, and videotape within public areas of AUVSI Novus Unmanned for personal, non-commercial use. Public areas include, but are not limited to, the session room(s); hotel lobby areas; and hallways. Large cameras, photo or video equipment, or ancillary equipment such as lighting, tripods, cables, etc. are prohibited (except in instances where approval from AUVSI show management is obtained). All photographers and videographers are prohibited from entering, photographing, or videotaping non-public areas of AUVSI Novus Unmanned. Non-public areas include, but are not limited to, storage areas; staff offices; and dedicated meeting rooms. All photographers and videographers are prohibited from impeding attendee traffic flow, blocking doors, stairs, elevators and escalators, and affecting the safety of attendees. All photographers and videographers must fully and immediately comply with any requests, directions, or instructions of AUVSI show management related to safety concerns. All photographers and videographers must obtain exhibitor approval before capturing images within a startup’s or sponsor’s table space. While attending AUVSI Novus Unmanned all photographers and videographers must comply with all applicable rules, including but not limited to, this policy, all applicable laws, ordinances, municipal regulations, standard operating procedures and administrative procedures. AUVSI event management may evaluate the actions of a photographer or a videographer, and if a determination is made that the actions of a photographer or videographer are not in compliance with any applicable rule, AUVSI event management may terminate the permission granted by this policy. AUVSI reminds event participants that they are responsible for compliance with regulations limiting the release of export-controlled technology or technical data and the provision of defense services to non-U.S. persons under the Export Administration Regulations (EAR) and the International Traffic in Arms Regulations (ITAR). AUVSI is not liable for unauthorized releases of technical data by conference attendees. In case the premises for the show is destroyed by Acts of God, fire, the elements or by any cause, or in case of government intervention or regulation, military activity, terrorism, civil disturbance, strikes, labor disputes, or any other circumstances make it impossible or inadvisable to hold the event at the time and place provided, the participant waives any claim for damages or compensation, except the pro rata return of the amount paid for admission, after deduction of actual expenses incurred in connection with the event and there shall be no further liability on the part of either party. In no event, shall AUVSI, its officers, directors, trustees, or agents be liable for any direct, indirect or consequential damages resulting from the failure to hold the event.